Lincs Removals, a small, family removal company based in Bourne, Nr Peterborough offer a variety of removal services to suit the needs of all home movers at a competitive rate. Whether you are moving nationally or locally, we offer a personal, courteous service to maintain our reputation for being a friendly company with a flexible approach. Most of our business comes from recommendation from happy customers, something we pride ourselves on. Your possessions and furniture are given the greatest level of care during handling and transportation to your new home. We treat all of your goods with the value and importance they deserve. With Lincs Removals, you will have a professional, dependable removal company with you each step of the way. Moving home can be a stressful time, with what seems to be an endless list of things to do. But when you choose Lincs Removals for your removal company, you’ll be relieved of much of the stress, as we are here to help! We carefully plan all aspects of your move and our personal approach will ensure a smooth, uneventful move that understands your needs. Our removals team is professionally trained, uniformed and their objective is to make your moving day a simple event. We are experts at moving furniture, and we can guarantee you a smooth, efficient house move from courteous, helpful professionals. We operate a fleet of specialist removal vehicles with the full equipment needed, including transit blankets, trolleys and webbing. If required, we can offer a personal packing service to assist you further with your house move. Lincs Removals can also supply you with quality packaging materials. We are fully insured so there is no need for you to risk moving your own expensive furniture during your house removal. We look forward to speaking to you soon! The service was good. Really good team. On moving day Alan and the team were punctual and efficient. Throughout the day they remained in a constant good humour and made us feel at ease. Nothing phased them and by the end of the day (when we were feeling slightly overwhelmed) they took the initiative and placed our belongings in logical locations without having to ask. A fantastic service. Thank you. They were professional and courteous and nothing was too much trouble for them. They were superb, did a great job, lovey friendly people treated you & your belongings with respect very pleased, .highly recommend. I have no hesitation in recommending Lincs Removals. What a professional outfit. They completely took the stress out of my move and couldn't have been more helpful. They were very quick and efficient and took the greatest care of my treasured possessions. I could not have chosen a better company to move me from Cambs to County Durham. Absolute stars, every one of them. Wow!!! What amazing service!! From start to finish Joanna and the team have been a real pleasure to deal with and made the trauma of moving less stressful, I can not recommend this company enough!!! You won’t go wrong choosing this firm. Also received a lovely ‘welcome to your new home card’ nice touch! 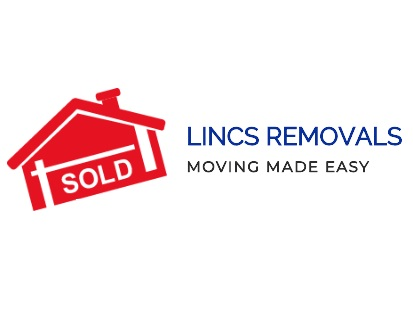 I highly recommend Lincs Removals, they arrived at the times we agreed and went out of their way to help me move my 3 bedroom house from the Cambridgeshire to Cheshire. Being a single person, I had not been able to dismantle every thing, I had agreed to do, but that was no problem. Lincs Removals helped me. Very friendly and very helpful throughout!